When would you like to stay at Cevahir Hotel Istanbul Asia - Check Availability & Room Rates!!! 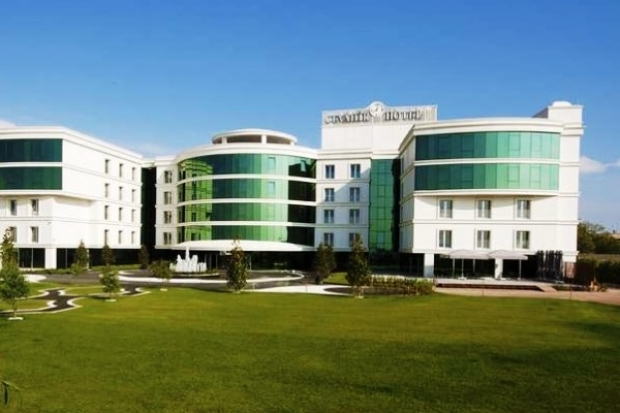 Cevahir Hotel Asia is a perfect please for business meeting and for anniversaries as weddings, new year parties... etc. You will be welcomed by our hotel and the luxuries rooms with free Wİ-Fİ, LCD TV, the baths with shower or bath tub, and some of the rooms has a breathtaking viewed to the Marmara Sea and to the Princes' Islands. In the Morning you can take an open buffet breakfast and the other meals you can take from the restaurant. You can use Ferryboat from Bostanci that is 5 Km far away from the hotel and can visit the Europe side too. Tulipa SPA Health Center invite you to a relax with their services as Massage, seeming and have a bath in the Turkish Hamam. How far and How long will it take from/to the Cevahir Hotel Istanbul Asia from/to International Airports and cruise Ports.